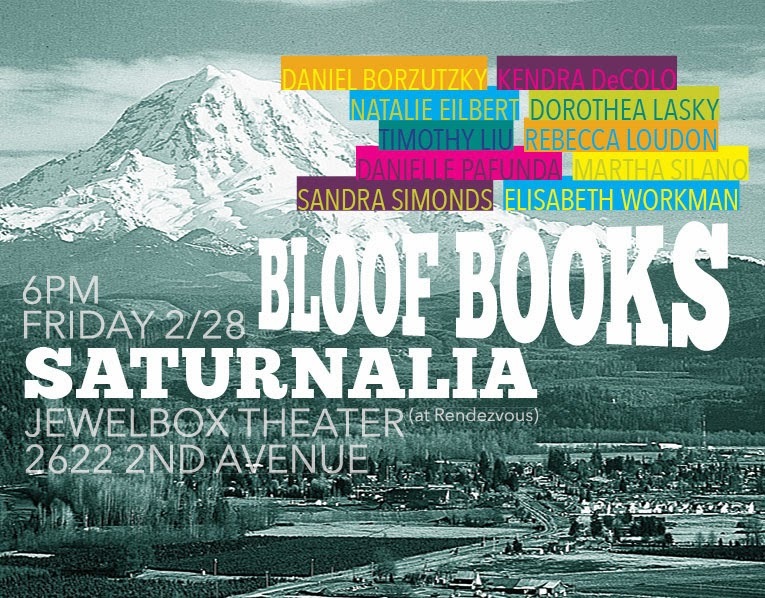 *Note early bookfair closings Friday and Saturday. Our offsite events those nights start at 6:00PM. Books will also be available at these public events. 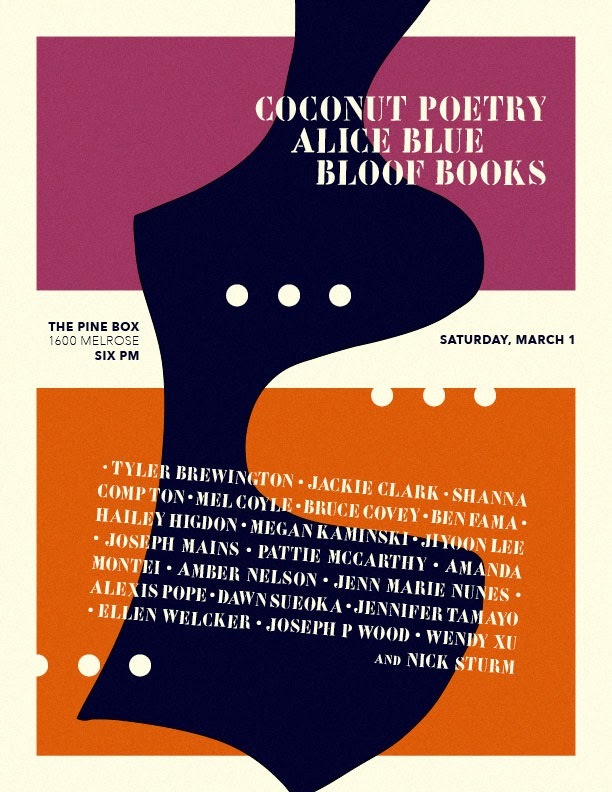 In addition, check out bookfair tables and offsite events hosted by Bloof authors Natalie Eilbert (The Atlas Review table #BB16 and this event), Ben Fama (Wonder table #K15, and this event), and Amanda Montei (Bon Aire table #TBD).